No network? oh, give m1 a break! According to M1’s statement, a power incident at 3am on Jan 15, during an equipment upgrade at M1’s network centre, set off the gas suppression and water sprinkler systems, which in turn caused an outage to one of our mobile network switches. This caused service disruptions for some of M1’s customers in the southwestern parts of Singapore, in the West Coast, Jurong and Tuas areas. No surprise, photos from 9Gag Singapore start popping up images about how m1 is in deep trouble and how everyone is gonna switch to other services once their contract is up. I have friends who are affected for more than 12 hours (Yes, Shawn, I’m referring to you) and I can guess how frustrating it is to be unable to communicate and be un-contactable for almost one whole day. But I have to give credit to M1 for the good crisis management, M1’s website, Facebook page and hotline are still accessible for angst users’ ranting. Yes, I understand the frustration but do you think M1 (or the staff) love having this breakdown? People made it sound as if M1 did it on purpose as a prank. Even human have days where we are ill and unable to “operate”. Not to mention the countless train breakdowns. 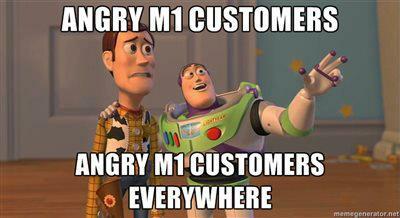 In case people start bombarding me, yes, I’m an M1 user too. In fact, my whole family except my dad hold M1 mobile lines. At around 4-ish today, I experienced “no service” signal just as I was about to contact my friend to check on the pricing of an item. I’ve seen the numerous messages about M1 being down over the past few hours (and of course, messages from the lucky m1 users who did not experience the breakdown), so this didn’t come as a surprise to me. My network resumed shortly after (approx. an hour), so I’m quite lucky to have experienced but not be affected by the service disruption. In my opinion, M1 still provides the best service and connection service. There were so many instances when my S-user friends couldn’t load any data on their phone and I’m done in a blink of eye. 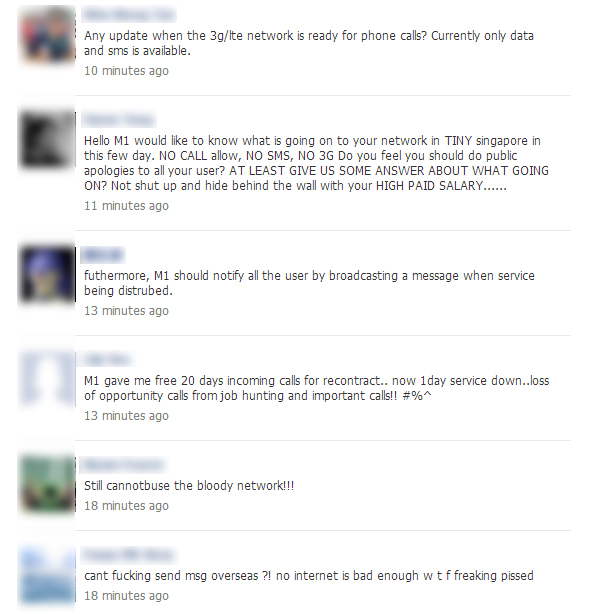 This is only one incident (and M1 is not the first to get it, remember the Singtel incident last year?) and everyone’s gonna penalise it for one breakdown? Really, if you really want to go to other service providers, go ahead. You will have more to complain. I’m not saying that M1 should have breakdowns nor am I saying it’s ok to have no service. 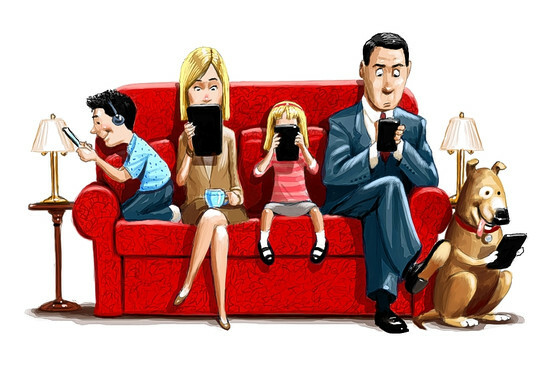 But I just hope that everyone will learn to appreciate the times when we have the network (and took it for granted). Everyone is trying to solve the problem and M1 is losing as much money with no one using their network! Hey, it’s just less than 20 years ago when mobile phone (or smart phones) were almost non-existent! I’m a social media addict, and I’m definitely one of those people who go on Facebook, Twitter, Instagram and check my mailbox (compulsively) every other hour when I’m out of home. Gone were the days when I read books and get engrossed in the plot. During the network breakdown, I could do nothing, and guess what, despite the slight initial irritation, I was kinda enjoying the short peace I had, listening to music and reading my book on the bus. Not even smses could get in. It’s like a super short getaway. To all affected M1 users: Treat it as a short technology cleanse/ detox and we will appreciate the network more when it’s back to normal. Above are my own views and are in no way related or sponsored by m1. One Response to No network? oh, give m1 a break! I think you’ve misinterpret the “20 days” message. 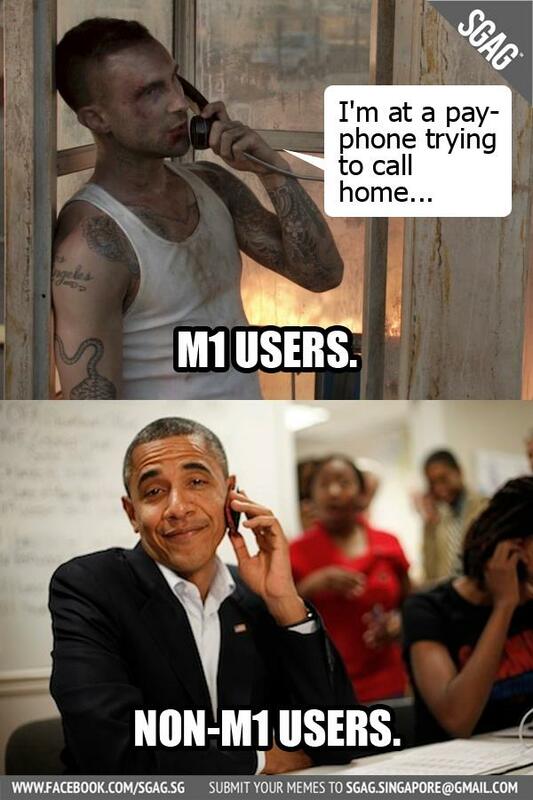 From what I read, M1 has actually offered a 20days incoming call for re-contracting. But with 1 day service down, he/she has lost 1 day of free incoming call.